Follow the mystical voyage of Ravi the tiger as he makes his way through the concrete jungle of Los Angeles, California. Ravi’s journey takes him from a train car in L.A. all the way to his native home of India. All along the way, Ravi meets friends, learns lessons about life in the city and faces trials and tribulations. The story of Ravi’s path of discovery has lessons that everyone from a young child to an adult can appreciate. 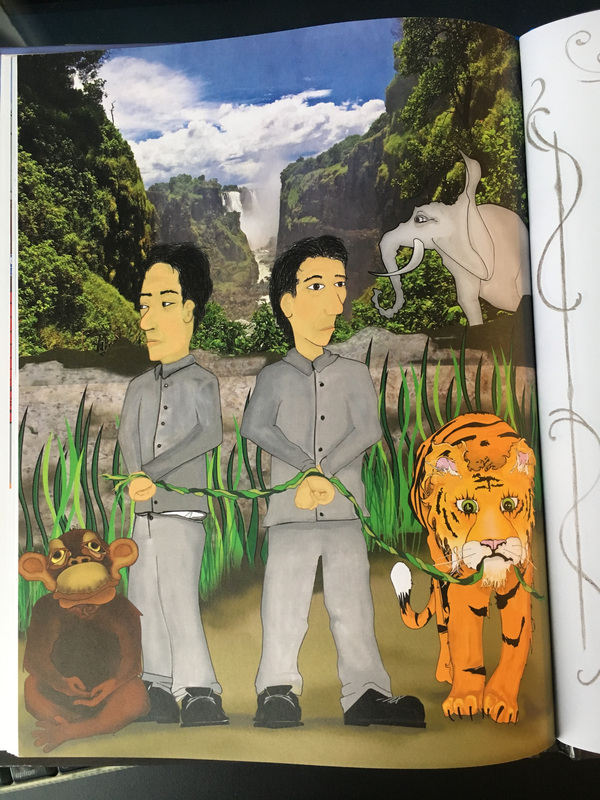 The story of Ravi the tiger addresses many real world issues that increases the awareness of young children in this modern age. From the virtues of friendship and loyalty to the dangers of gossip and selfishness, Ravi learns the ins and outs of social relationships in the big city. The main motivation behind the inception of ‘Tiger Style’ was to increase awareness of the sad state of the Sumatran tiger as a species. Centuries of unrelenting hunting and poaching have brought the Sumatran tiger species to the brink of extinction. Now, there is a growing movement to rescue this beautiful and majestic species from disappearing completely from the face of the Earth. A portion of all sales of Tiger Style Book goes to the World Wildlife Fund in order to help efforts to rescue the Sumatran Tiger. The World Wildlife Fund for nature, founded in 1961, is a non-governmental wildlife protection foundation. The intent of this foundation was to bolster wilderness preservation and reduction of the human impact upon the environment. Many famous actors and musicians such as Christian Bale, Leo DiCaprio, and Metallica use their high profile personas to improve awareness of endangered species around the world through their support of the WWF. These talented people are an inspiration to the rest of us to start thinking about how humans negatively impact the environment.